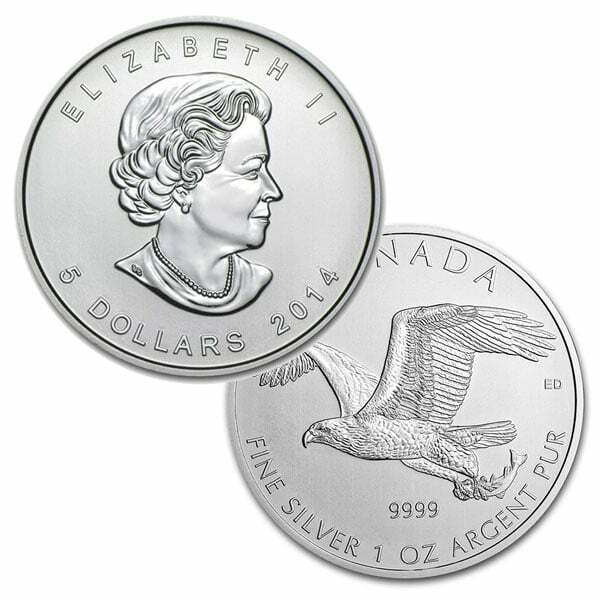 Money Metals Exchange is proud to offer the Royal Canadian Mint's Bald Eagle coin in silver - 1 troy ounce. RCM is one of the most advanced silver coins mint in the world. This is the second release in the new Birds of Prey series, depicting the Bald Eagle in flight. This coin features a limited mintage of 1 million coins, and if history is a guide they will sell quickly. These limited edition Birds of Prey series coins are the answer to the temporary silver trends that are on the market. 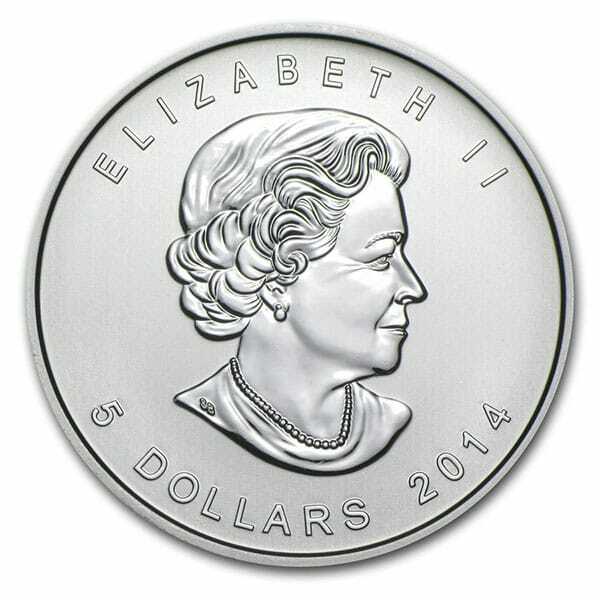 Elizabeth II (obverse) - The obverse of these .9999 fine Silver coins features the profile of Queen Elizabeth II, along with the year and face value of $5 (CAD). Truly a unique coin that celebrating the most iconic bird in North America. The bald eagle is primarily found in North America. Its beautiful appearance represents strength and valor. Again, these new Canadian silver coins are limited to a quantity of 1 million. Come get yours today. 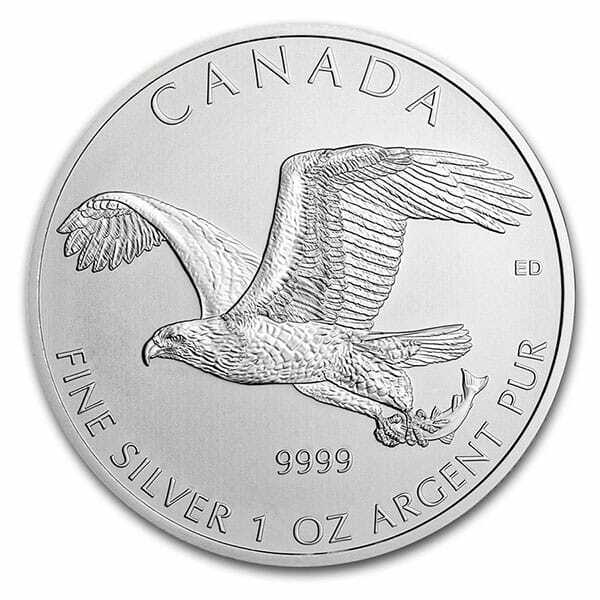 You can now sell your Canadian "Birds of Prey" Series - 1 Oz Silver Bald Eagle/Peregrine Falcon back to us online, at a price of $15.03 each!